Nintendo of America head Reggie Fils-Aime tells Gamasutra dual-GamePad Wii U games won’t be around till well after launch — but that’s the least of Nintendo’s concerns as it considers Wii U’s price tag. While Nintendo relieved fans with last week’s announcement that the Wii U would support two tablet controllers, those hoping to take advantage of that when the system launches will be out of luck. 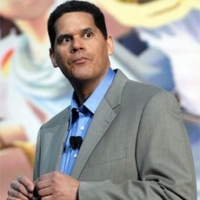 Nintendo of America president Reggie Fils-Aime tells Gamasutra that while the new console has multi-tablet capabilities, neither Nintendo nor its third-party partners will have any games available that take advantage of that during the launch window.